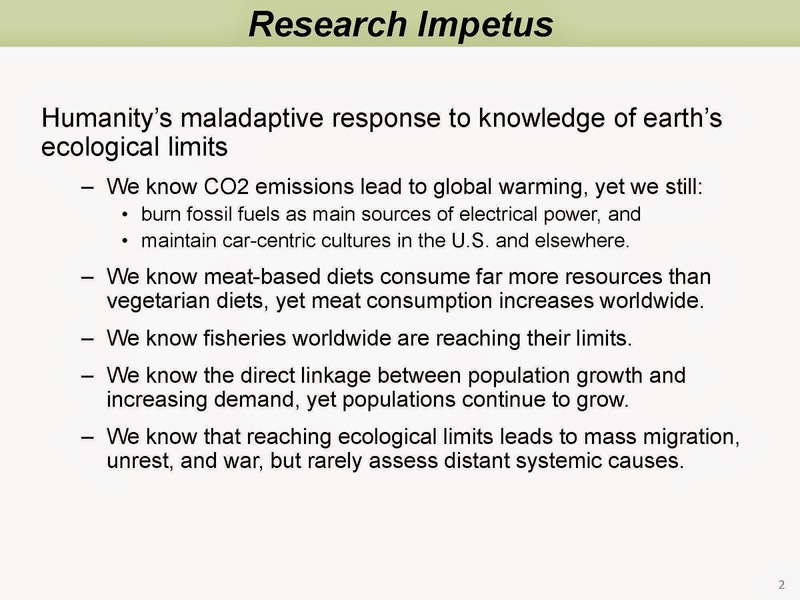 Can the human species provoke sufficient lifestyle changes worldwide to avert ecological collapse? 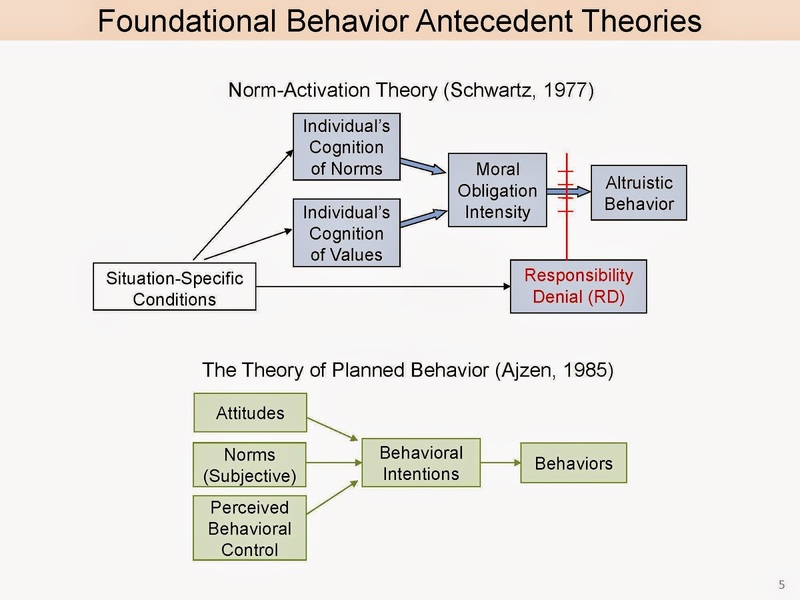 Prior research asserts the central role of context in shaping behaviors and suggests social contexts supportive of pro-environmental choices may reduce future environmental damage. 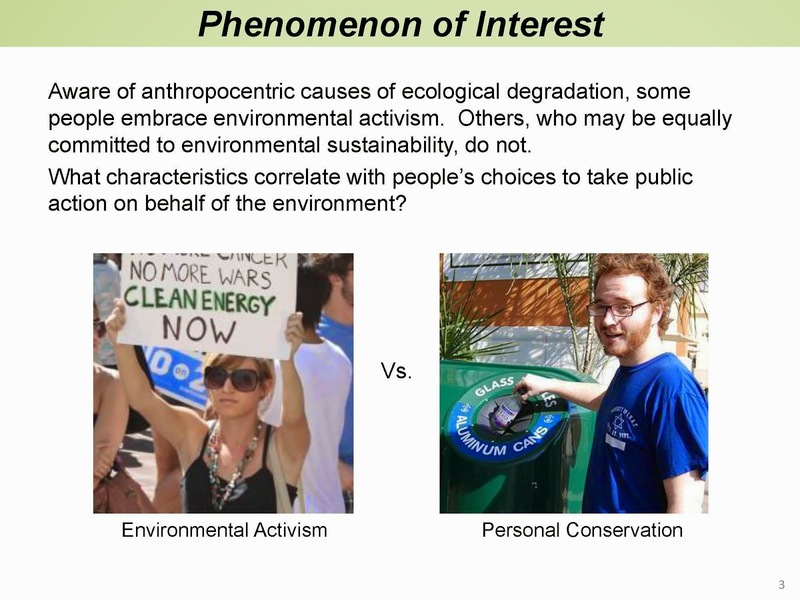 While some people act to produce such contexts (i.e., engage in environmental activism), others, who may be as concerned about the environment, do not. 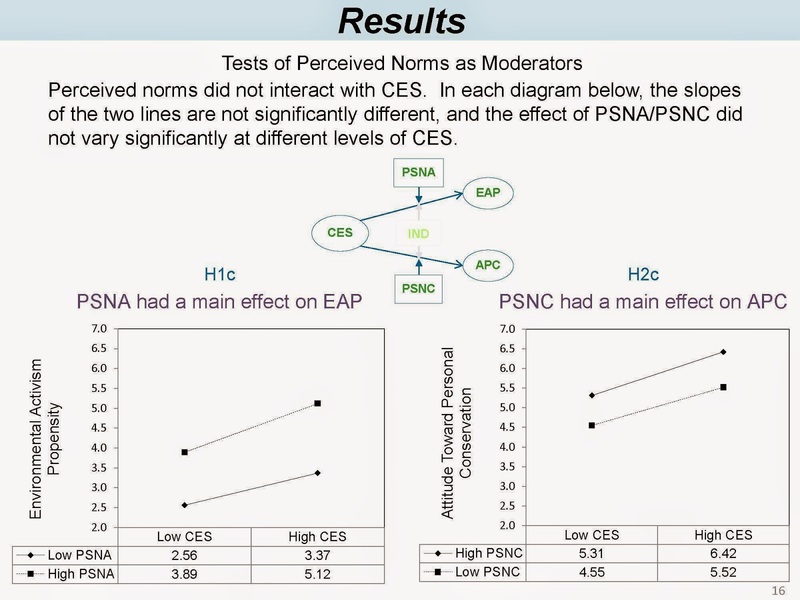 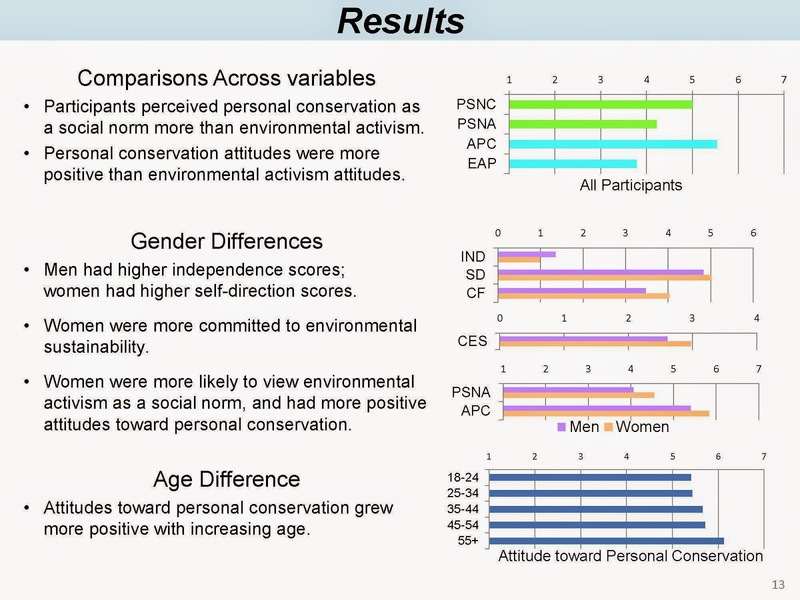 This study investigated whether certain individual values (conformity and self-direction assessed by the Portrait Values Questionnaire; Schwartz, Cieciuch, Vecchione, Davidov, Fischer, Beierlein, … Konty, 2012) and perceived social norms moderate relationships between environmental concern and select environmental attitudes. 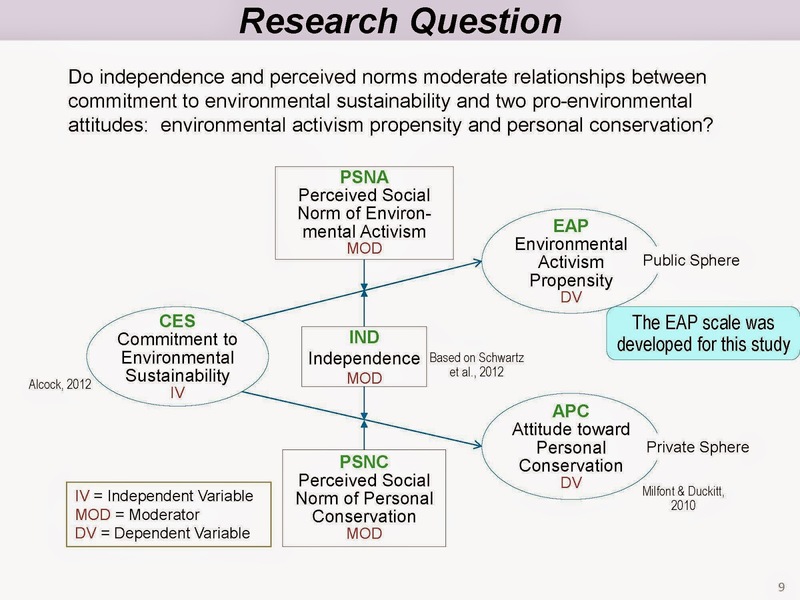 Study results affirm a positive relationship between environmental concern and private-sphere pro-environmental attitudes. 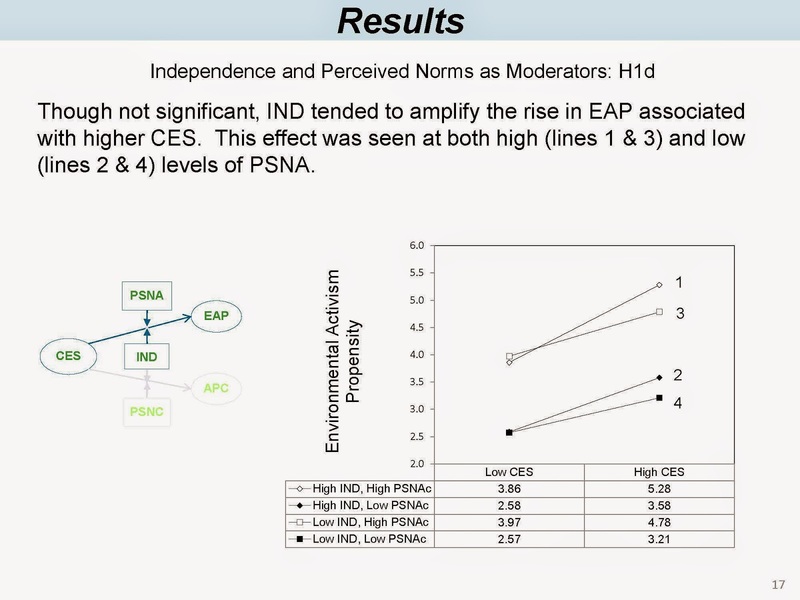 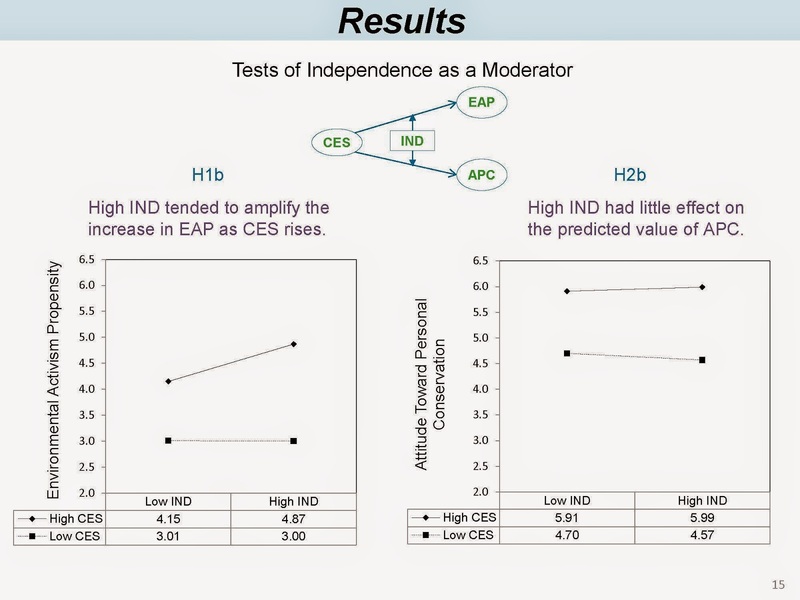 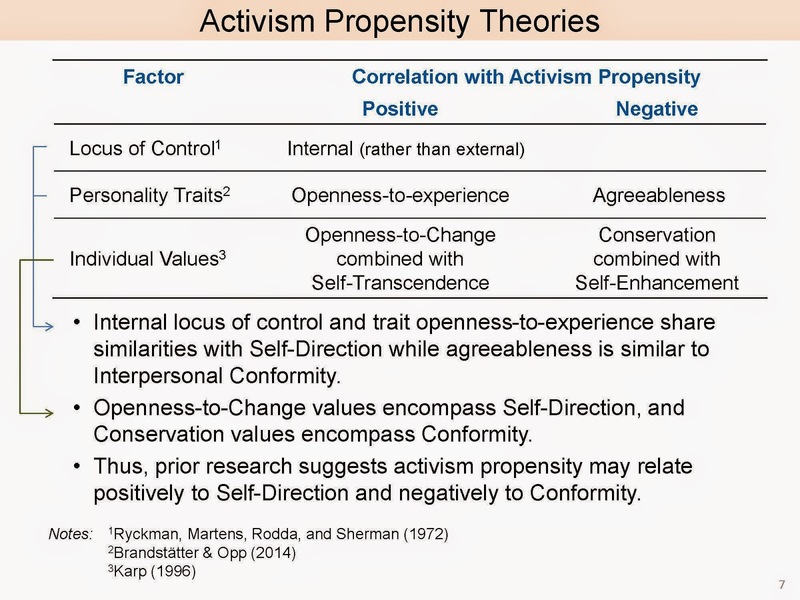 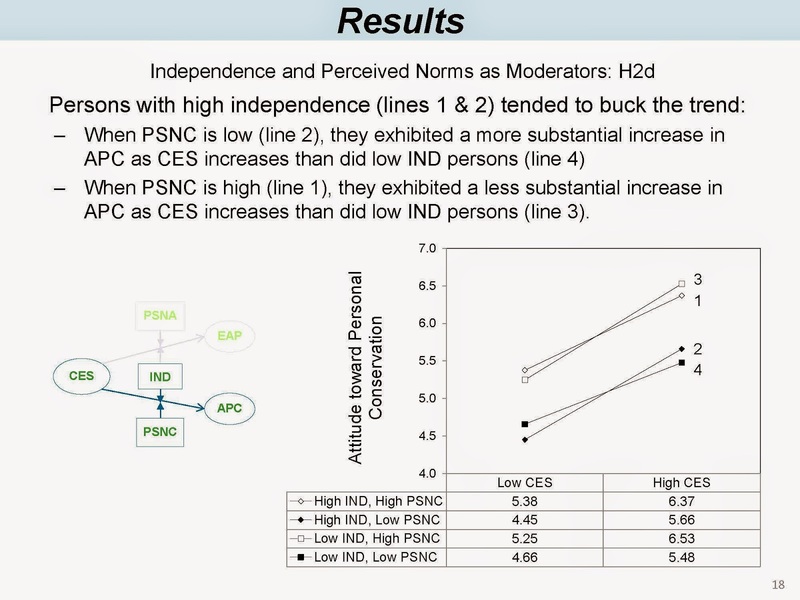 Level of independence (calculated as self-direction minus conformity) did not affect this relationship; norm perception (a proxy for context) had a main effect rather than interacting with environmental concern. 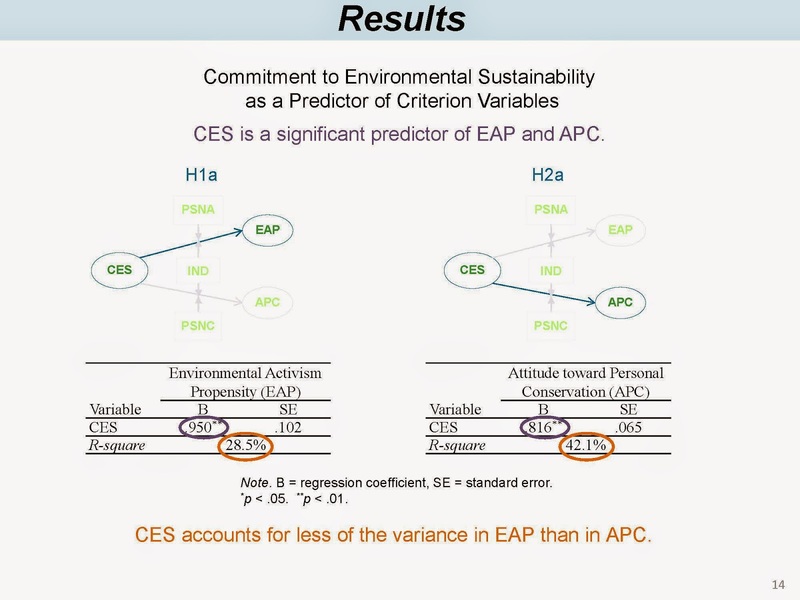 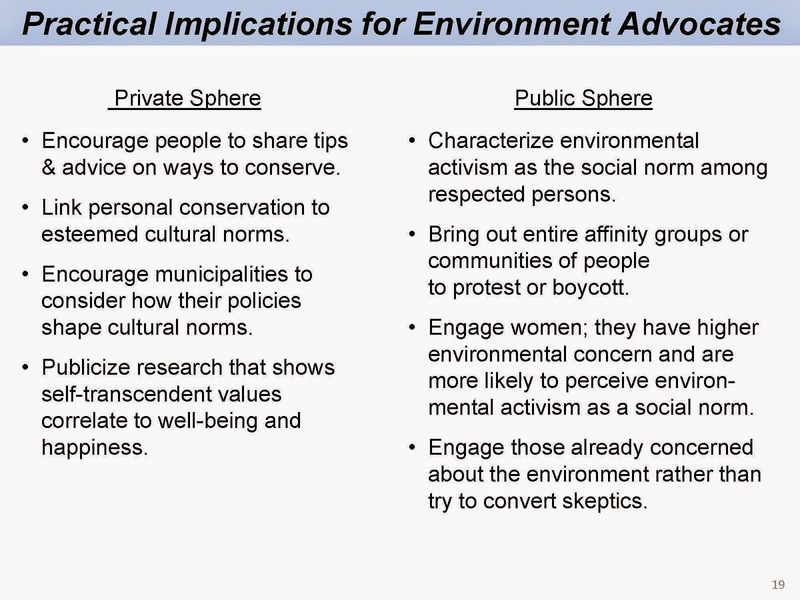 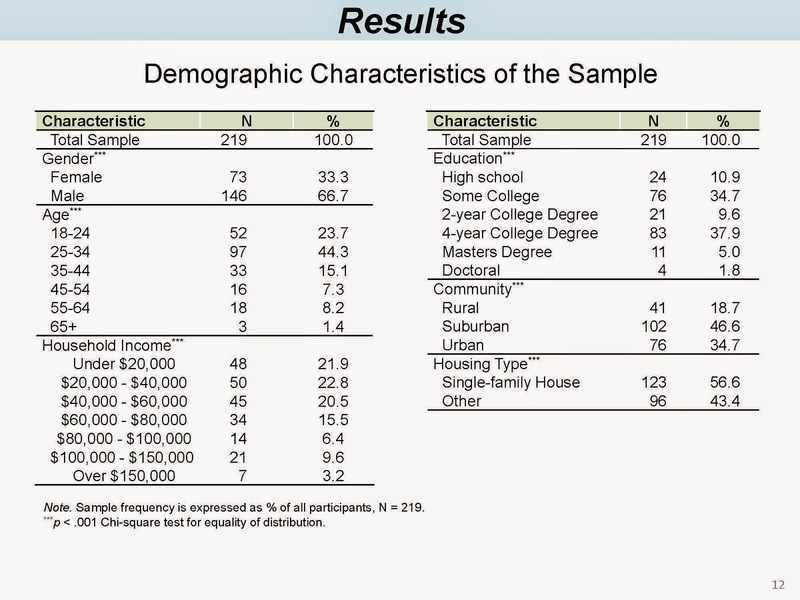 Turning to public-sphere pro-environmental attitudes, environmental concern was a significant predictor but explained less variance here than for private-sphere attitudes. 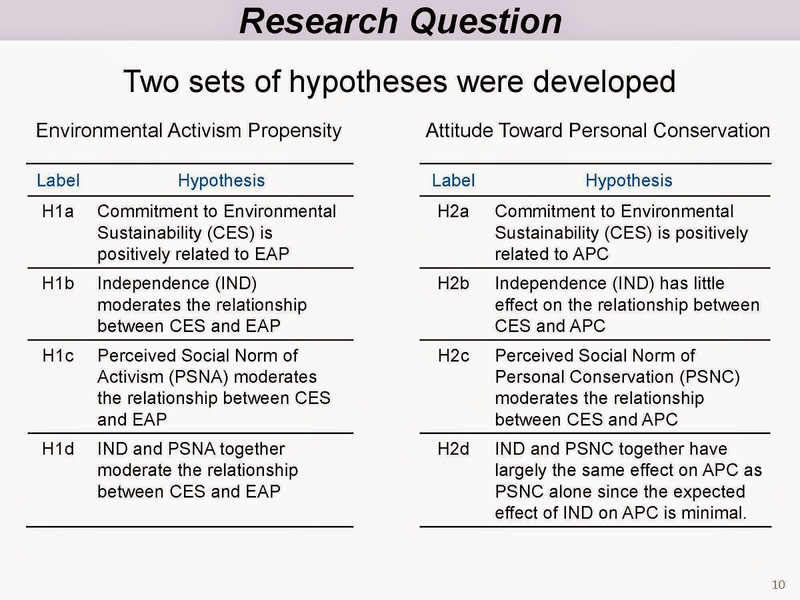 Independence was associated with greater environmental activism propensity when environmental concern was high. 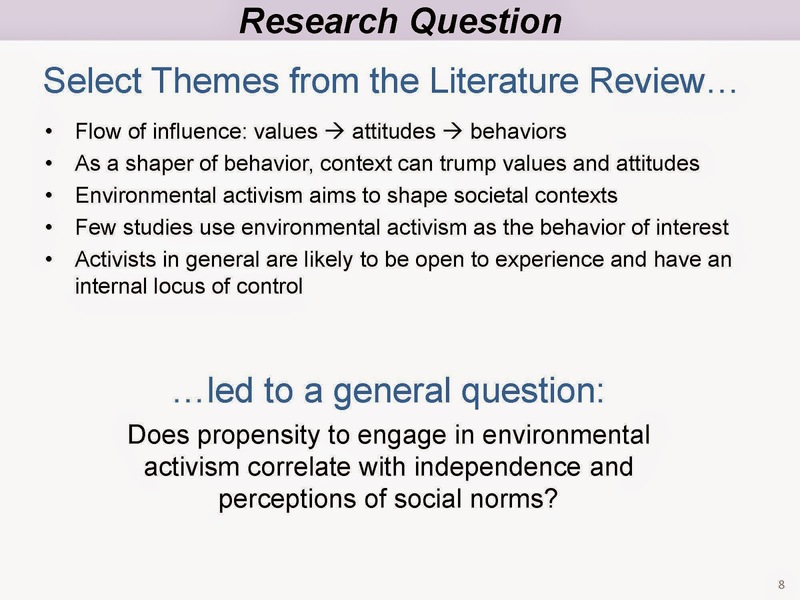 Perceptions of environmental activism as a social norm predicted higher environmental activism propensity across various levels of environmental concern. 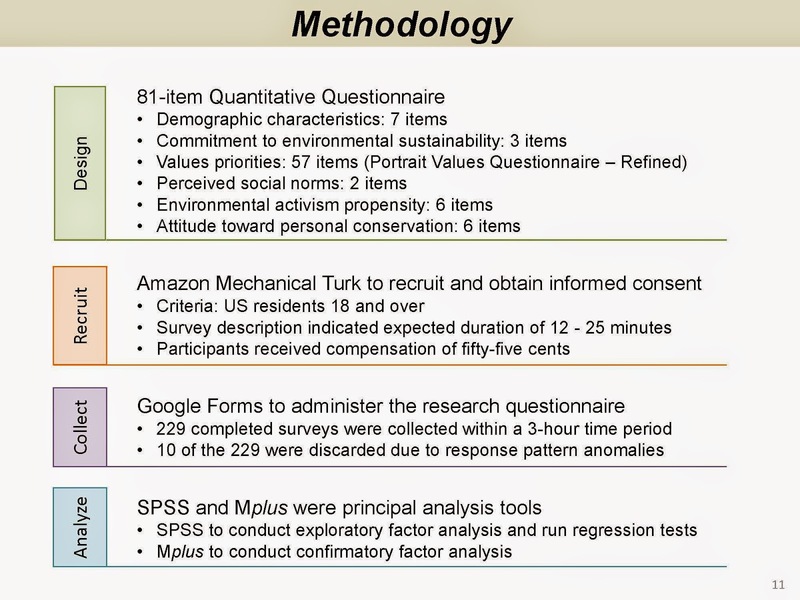 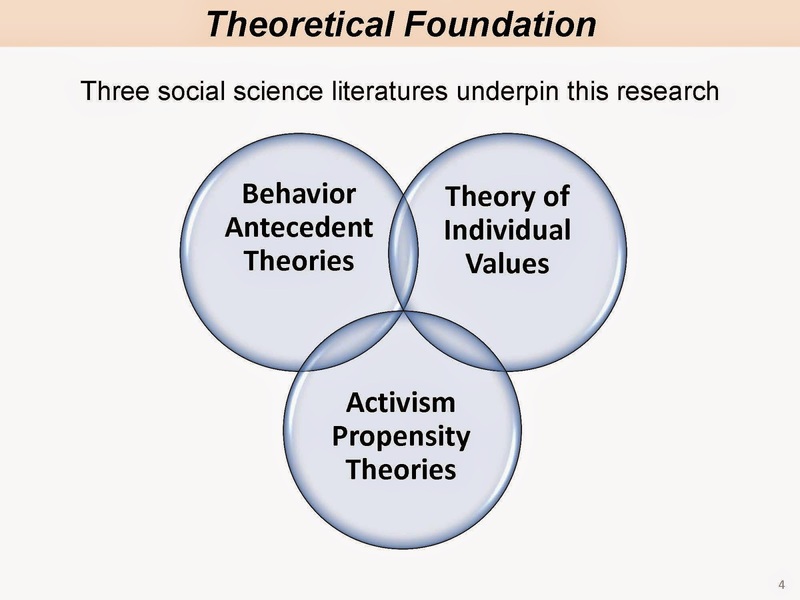 This study required the development of a new instrument, the Environmental Activism Propensity (EAP) scale, which measures willingness to act to change social institutions and norms so social contexts encourage pro-environmental behavior. 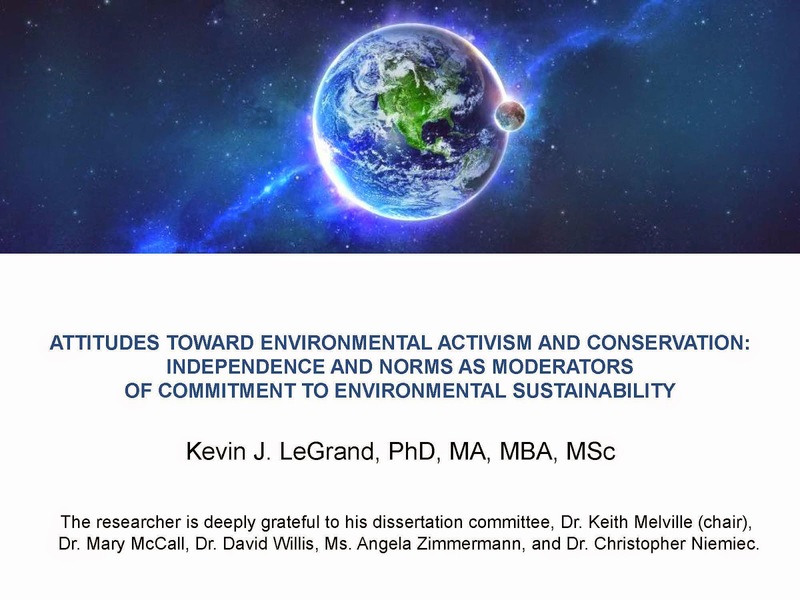 The investigation produced knowledge and approaches that can be put to practical use by environmental and ecological justice advocates.